Tennessee mom Ashlee Eskelsen ran the Boston Marathon 14 weeks pregnant last year. This year, she wanted a new challenge. 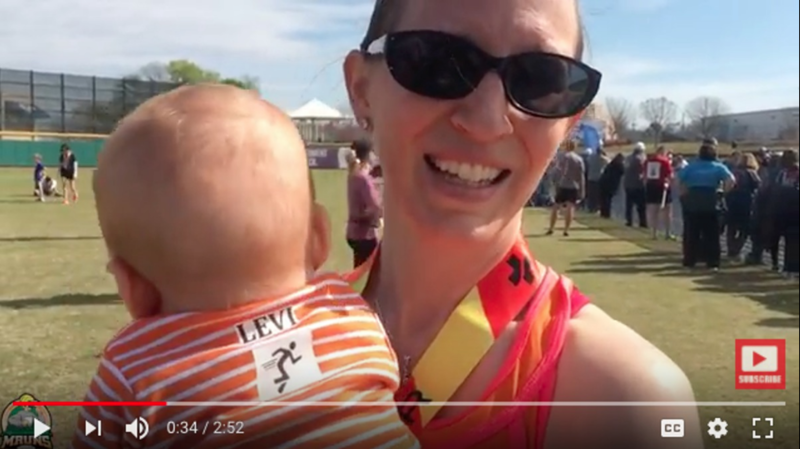 Eskelsen, a member of The Church of Jesus Christ of Latter-day Saints, set a world record on Saturday for finishing a half-marathon pushing a triple stroller with her three sons — her youngest just 4 and a half months old. Eskelsen finished the 13.1-mile race at the 2018 Montgomery Half Marathon and 5K in 1:47:29, a pace of about 8:20 per mile. 14 weeks. That's 3½ months. As a father of 5, I see nothing wrong with that. When the kids are old enough to understand, mom can tell them that they are world record holders. Sorry, but I miss your point here. Why not applaud this? You clearly have no idea how the first trimester of pregnancy makes one feel. Seemingly endless nausea and feeling overwhelmingly tired, some pregnancies more so than others. It took dedication and grit to maintsin her program in the months before the race. She has my applause.